Showy late summer and fall color in spectrum lavender-blue, purple, pink, rosy red and white. Bushy plants about 2' high produce large flowers 4"-5" across with long ribbon-like curled and twisted petals. If you have any questions about this product by Black Duck Brand, contact us by completing and submitting the form below. If you are looking for a specif part number, please include it with your message. Set of 44 Valley Green Flower Seed Packets! Flower Seeds in Bulk - 22 Varieties Available! 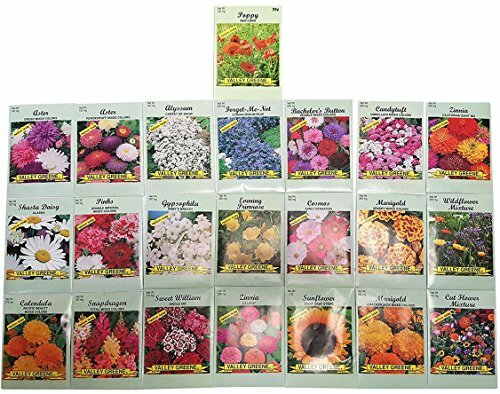 Set of 100 Assorted Valley Green Flower Seed Packets! Flower Seeds in Bulk - 20+ Varieties Available!